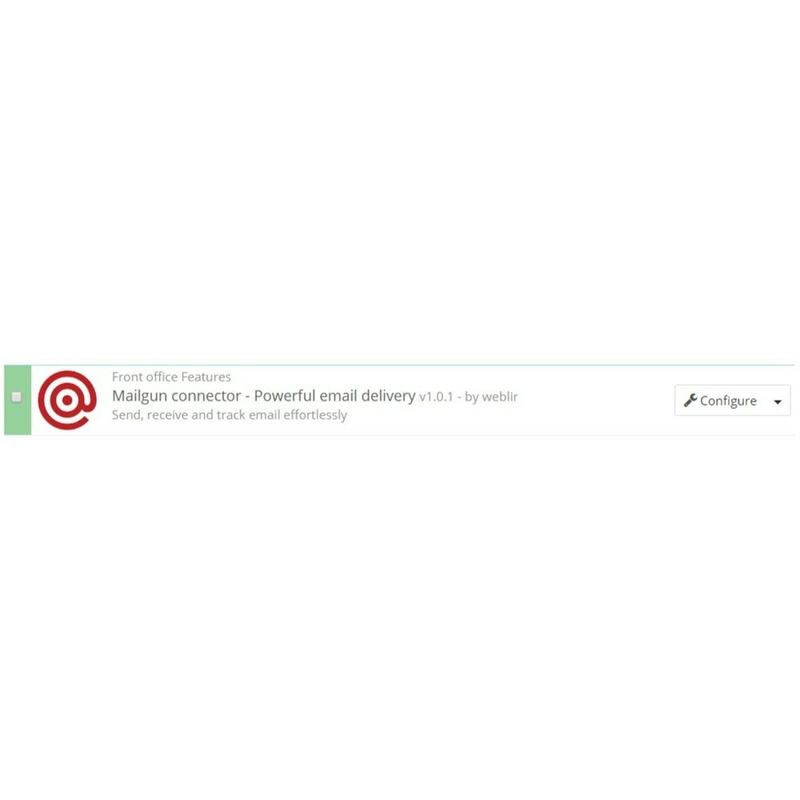 Send, receive and track email effortlessly. 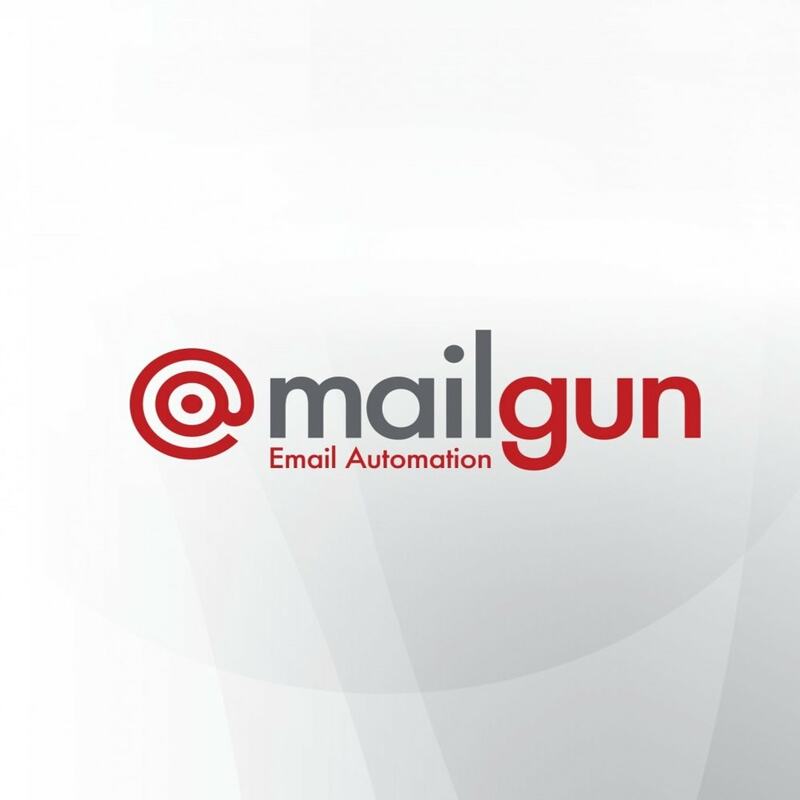 With this module you can integrate Mailgun with your shop and you can send limitless emails anywhere, anytime in notime. Your email, delivered - We don’t just send your email, we deliver it. Our software automatically manages the delivery process to give your emails the best chance of landing in the inbox. And if something happens that keep your messages from being delivered, we’ll tell you. 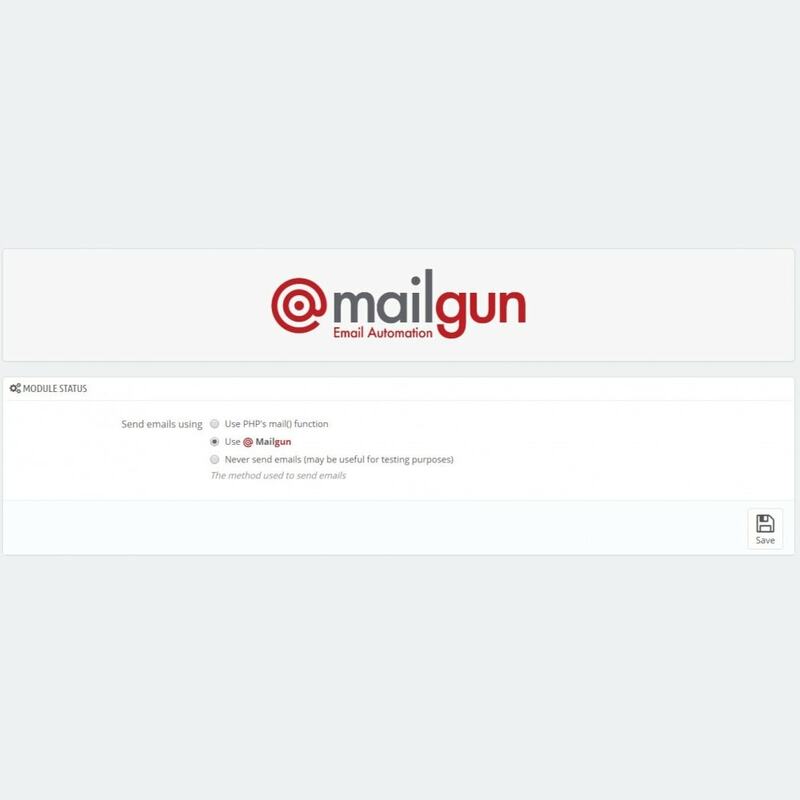 Send for yourself, your customers or both - Each domain within Mailgun is an isolated sub-account with its own sending queue and reputation. That means that your transactional emails won’t get stuck behind your newsletters. It also means you can effectively manage thousands of your own customers all within a single Mailgun account. Is one of your customers spamming? We can disable their domain without affecting your good customers. Batch sending - With a single API call, you can send up to 1000 fully personalized emails. Mailgun will properly assemble the MIME message and send the email to each of your users individually. That makes sending large volumes of email a lot faster and a lot less resource intensive. Personalization - Your users are unique and their emails should be too. With Recipient Variables, you can easily personalize all your emails for each user. First name, order value, and other common fields are easy. You can also personalize the entire look of the email by including image urls with your Recipient Variables. The most powerful email parsing engine available - Each email that Mailgun posts to your app comes fully parsed and transcoded to UTF-8. It doesn’t get any easier. Powerfully smart rules engine lets you manage millions of incoming emails with just a few rules - Forward support tickets to your customer service team, post replies from your users to your app, and get rid of spam entirely. We turn your email into structured data, ready for you to grab - Email data is messy. By combining Mailgun's advanced email parsing with temporary storage for up to 3 days, you can retrieve all your apps incoming email when it is convenient for you. No more bombarding your server with large attachments. Don't worry about missed webhooks if your server is down. Automatically strip out signatures and quoted replies - Our advanced algorithms can detect and remove signature blocks and quoted replies from your emails. We provide you the stripped text & HTML part in the JSON payload, so if that’s all you need, that’s all you have to do. Logs Retained For 30 Days With Details That Matter - When the business comes to you with questions on why email isn’t being delivered, you need to be enabled with data that can help you solve the problem. We understand how important logs become when researching issues effecting your sending. This is why we retain each accounts logs for 30 days regardless of the number of events. View your message within the control panel - View the full raw MIME of your messages via API or within our control panel to more quickly assess delivery or content rendering problems without having to recreate the message. Receive real time notifications with webhooks - You don’t have to come to Mailgun to find out what’s happening to your email. We’ll find you. Set up webhooks and receive real-time notifications for everything that is going on with your email. Our webhooks are RESTful and allow you to take advantage of the native routing and proxy features of your favorite framework. Deep dive into the undelivered email - Understanding why an email hasn’t been delivered can cost you hours, if not days to resolve without the right data. We give you visibility into emails that have been suppressed automatically to protect your sending reputation along with messages that have been dropped so you have immediate visibility into what is impacting your deliverability. See if your emails are engaging - When building a delivery strategy it’s vital to know which emails are engaging and which are stagnant. View open rate, clicks, unique clicks, and more with the Mailgun dashboard, then download a copy to CSV without having to leave your browser. Control the data presented - When sending massive amounts of emails you’ll want to understand how these trends change over time. Our control panel gives you to the ability to specify the date ranges you’d like to display, right down to the hour. Organize your email with tags - Tags let you set up simple and powerful segmentation for your emails. You can create simple A/B tests, or do deeper cohort analysis. 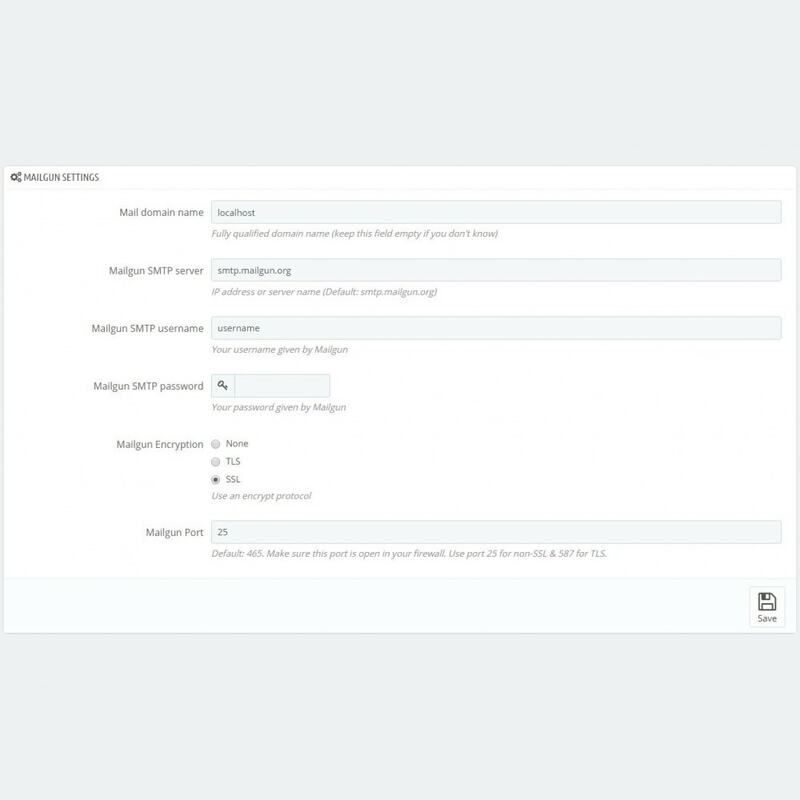 If you also use webhooks, your tags are automatically encoded into the webhook which makes tying email back to your data a breeze. Much more than regex validation - If you're not validating emails at signup, you have a problem. If you've implemented regular expressions to solve this, you now have two problems. Regex is complex to write, debug and often inaccurate, because syntax is only one part of whether an email is valid. Validation based on billions of sent emails - RFC states the formal rules for email addresses. However, in the real world ESPs accept addresses that are not RFC-valid, and reject addresses that are. When we built our validator, we did based on real-world data + RFC spec to ensure more accurate validation.Sophisticated shared IP reputation management system - We take pride in protecting the sending reputation of our customers and have designed our infrastructure to proactively seek out anyone who may be negatively effecting the overall deliverability of our shared IP pools. Isolated sending domains - We require our senders to use their own domains when sending anything but test emails, allowing our customers to strengthen their domain reputation while isolating their environment from any potential bad actors. All sending domains are enabled with SPF and DKIM to maximize deliverability. Pool of dedicated IPs - As your IP reputation is the most important variable to seeing good deliverability we offer a pool of dedicated IP addresses with neutral or positive reputations ensuring complete reputation isolation from other senders. We can also advise on best practices for warming these IPs while transitioning off of a shared IP environment or from another platform.